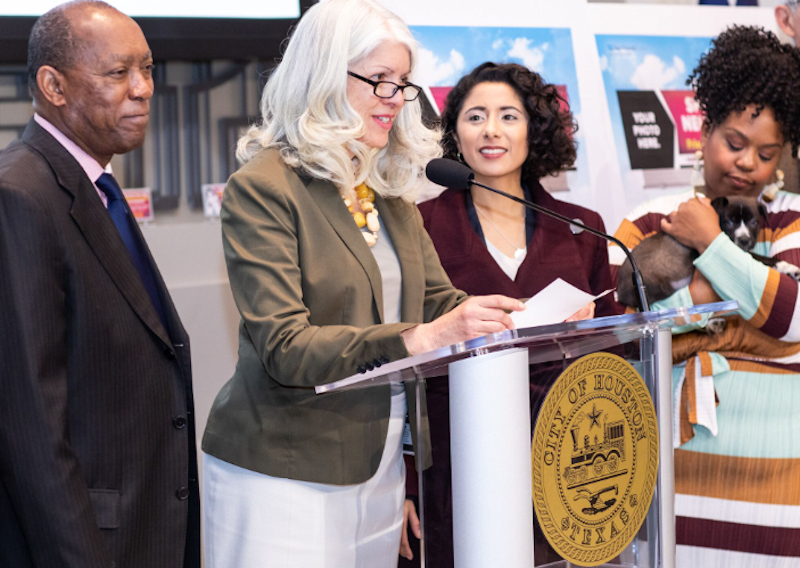 Council Member Karla Cisneros, Mayor Turner, and Harris County Judge Lina Hidalgo held a joint press conference announcing the kickoff of Love Your Pet Month and the Love Your Pet Rescue Selfie Contest on January 31, 2019. You can watch the press conference by visiting: https://houstontx.swagit.com/play/01312019-1124. Learn all about Love Your Pet opportunities, events, and contests (including the Rescue Selfie Contest) planned for the month of February by visiting: www.houstontx.gov/loveyourpet.